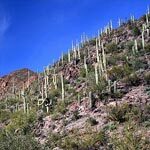 In order to cope with this enormous variety of cactus types, the family Cactaceae, the typical features of which I’ve considered in the What’s Cactus? 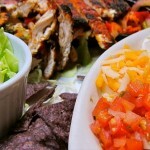 section, is devided into three subfamilies. The first cactus subfamily is called Pereskioideae. 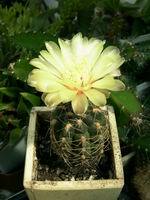 It comprises cacti with right and completely developed leaves. These cacti are very few, and the subfamily Pereskioideae is the smallest. Only 26 cactus species are included in it. The second subfamily is Opuntioideae. It unites about 400 species that have two distinctive features: first, they all have rudimentary triangular or subulate leaflets; second, on the top of their arealas there are bunches of thin, jagged setas named glochidia. They keep on the stem very poorly are can be separated from it at the slightest touch, clinging to hands and clothes. So in order to prevent troubles, it is necessary to remember about it while caring for prickly pear cactus.All the other cacti, that is more than 2000 species, belong to the third subfamily Cactoideae. 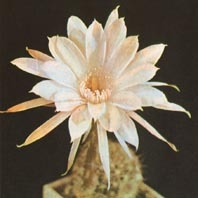 The majority of popular cacti are Cactoideae. Their distinctive features are: the absence of any leaves on the stem and the absense of glochidia on areolas.